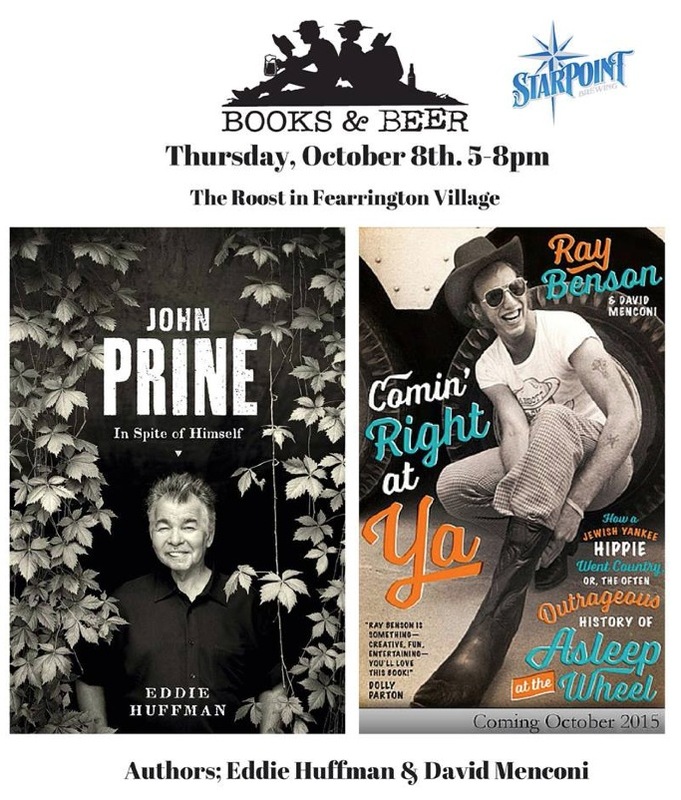 “Comin’ Right at Ya” moves into the personal-appearance phase of the PR campaign this week with Thursday’s Books & Beer in greater Pittsboro, NC, where Eddie Huffman and yours truly will hold forth about various book-related matters. I was one of the editors who worked on Eddie’s “John Prine: In Spite of Himself” and “Comin’ Right at Ya” is my third book, so we’ll have plenty to talk about. Better enticement: This will happen outdoors at The Roost, where the oven-fired pizza is very fine and the beer (dare I hope for Starpoint Brewery’s Whiskeytown beer?) is even finer. Buy a book — and there will also be copies of “Losering” as well as my long-ago novel “Off The Record” available — and it even comes with a free beer. Thursday evening’s weather is supposed to be perfect, and for an added bonus we’ll have the excellent singer/songwriter Elliott Humphries there to do a few songs including selections from the John Prine songbook, the occasional Ryan Adams obscurity and maybe even an Asleep at the Wheel tune or two if I can talk him into it. 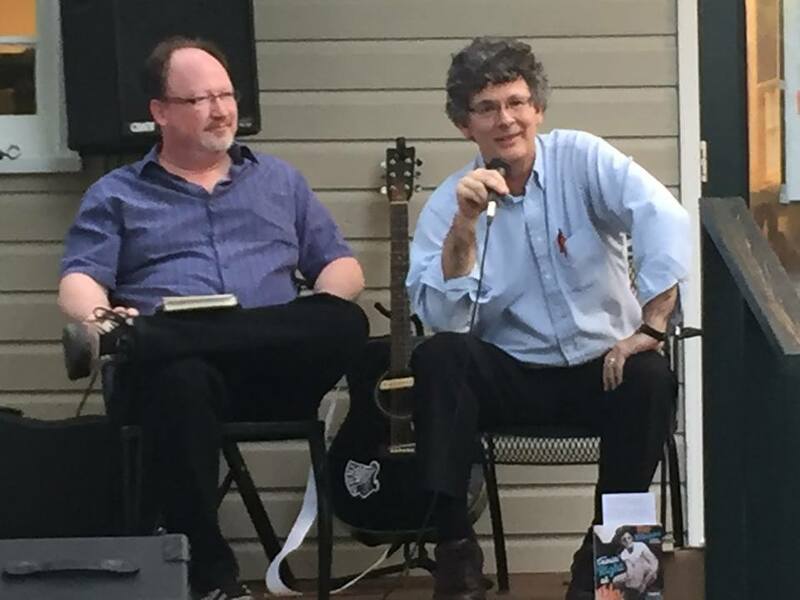 I did a Books & Beer back in June with Tom Maxwell, and it was a great time. So come on out if you can. Down the road a bit, I’ll also be at the Texas Book Festival on Oct. 18 (with co-writer/subject/star Ray Benson), and at Quail Ridge Books & Music in Raleigh on Oct. 21. I hope to see you at one of these if I’m in your neighborhood. AFTERMATH: Books & Beer went great. Not sure if anybody else enjoyed it, but we did!